[fa icon="calendar"] Sep 18, 2018 9:00:00 AM / by Alexey Peshkovsky, Ph.D.
Full-spectrum cannabis extracts are known to have a bitter and earthy taste. As the extracts are further refined, the intensity of the taste drops due to the removal of the bitter constituents (e.g., terpenes, flavonoids). 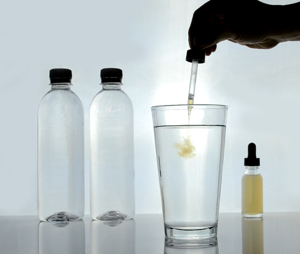 Highly refined CBD isolates and THC distillates, for example, may not appear to be bitter at all when tasted directly. It is, however, important to remember that formulating an active ingredient as a nanoemulsion not only increases its bioavailability but also amplifies its flavor due to a tremendous increase in the surface area exposed to the taste buds. Ways to manage: The bitterness can be minimized by removing the associated terpenes and flavonoids from the original extract as much as possible. An alternative approach is to do the opposite - leave enough terpenes and flavonoids in the extract for the bitterness to be surrounded by other flavors, resulting in a more pleasant profile. The latter approach is typical for the alcohol industry, where most beverages (e.g., whiskey, wine, beer) are not refined to the point of minimal taste. Instead, their flavor profiles are carefully developed to provide a pleasant experience. Besides active ingredients (cannabis extracts, in this case), nanoemulsions typically incorporate carrier oils, surfactants (emulsifiers), antioxidants and preservatives, all of which can have or develop tastes of their own. Carrier oils, for example, may go rancid and become bitter and/or burnt when oxidized. Most food-grade surfactants are bitter and many have "chemical" and "soapy" flavors. Ways to manage: All non-active components of the formulation should have as little taste of their own as possible. However, while low-taste ingredients do exist, making them work together correctly can be challenging. For those who would rather short-cut to a solution instead of conducting their own R&D, Industrial Sonomechanics developed a tasteless all-in-one product called NanoStabilizer™, which is a proprietary blend of food-grade (GRAS) carrier oils, emulsifiers, and preservatives, all derived from natural sources. This product is designed to be used in conjunction with our ultrasonic processors to produce translucent nanoemulsions of cannabis extracts and comes with detailed processing instructions. NanoStabilizer™ neither contributes, nor masks the taste, so the bitterness of the precursor extract may still need to be managed. 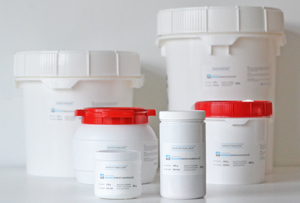 Once you decide on the dose you would like to administer, you can easily determine the appropriate amount of your nanoemulsion to dispense into the finished product. For example, if the desired cannabis extract dose is 10 mg, you'll be dispensing 1 ml, 0.5 ml or 0.2 ml of the nanoemulsion containing 10 mg/ml, 20 mg/ml or 50 mg/ml of the extract. The remaining variable is the amount of beverage to dispense the nanoemulsion into. To reduce the bitterness, avoid making low-volume, concentrated beverages. 16 oz (~ 500 ml) is generally a good beverage volume to dispense the dose into. We find that such beverages as beer, coffee and many types of tea (especially peppermint) work best to hide the bitterness. For example, nanoemulsions made with even very "dirty" extracts cannot be tasted in most types of beer because the flavor profile of hops is similar to that of cannabis and is, generally, stronger. 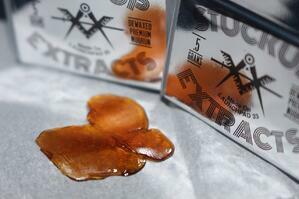 Include the oil in the formulation, replacing some of your extract/isolate. For example, if the process calls for 50 g of the extract/isolate, try using 40 g instead and mix in 10 g of the essential oil. When using our NanoStabilizer™, the rest of the process can remain the same. Keep in mind that this will bring the potency of the nanoemulsion down by 20%, which can be compensated by increasing the dispensed amount. Nanoemulsions are fully miscible with water and each other, so it is possible to make one from just the essential oil and independently add it to the finished product or mix it with your cannabis extract nanoemulsion. 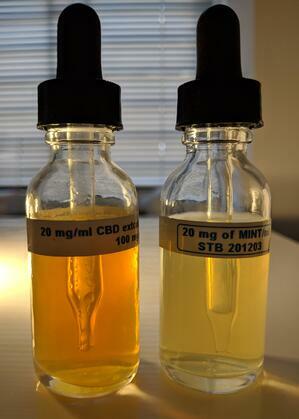 The picture on the right illustrates a full-spectrum CBD oil nanoemulsion (left) and a peppermint oil nanoemulsion (right), both made with our BSP-1200 ultrasonic processor and NanoStabilizer™. Both have a similar degree of translucency and an identical active ingredient concentration (20 mg/ml of CBD and peppermint oil, respectively). They can be mixed with each other or the finished beverage product in any desired ratio, providing the flexibility to achieve the desired degree of potency and flavor masking. Written by Alexey Peshkovsky, Ph.D.
Dr. A. Peshkovsky is a co-founder and President of ISM. He is responsible for setting the overall strategic direction for the company as well as for overseeing equipment and applications development. Dr. Peshkovsky holds a B.A. in Chemistry from the University of Pennsylvania and a Ph.D. in Physical Chemistry from Columbia University. He is the author of over 40 scientific papers, patents and presentations as well as two books on ultrasonic liquid processing.